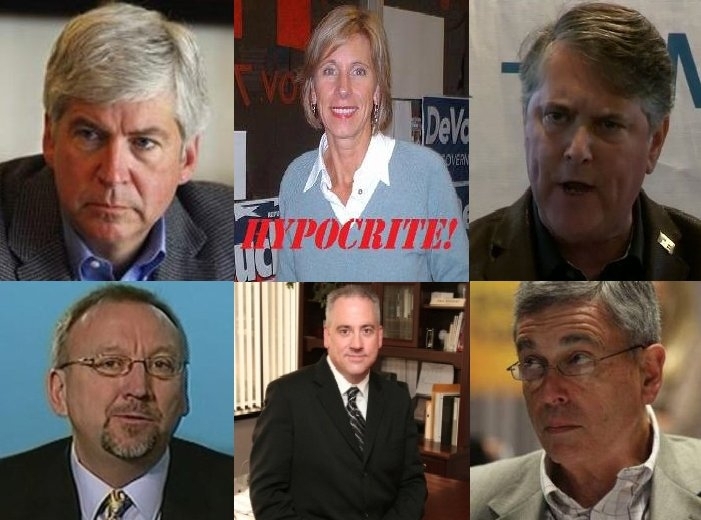 Where’s the outrage from Rick Snyder, Betsy DeVos, Ron Weiser, Bobby Schostak, Paul Welday, Dennis Lennox and all the rest of the Dave Agema “head hunter’s” and let’s not forget Ken Braun, Kathy Hoekstra, and Saul Anuzis! The black community in Detroit is up in arms over the L Brooks Patterson scandal and all we hear from the aforementioned is crickets! Could it be that all those Dave Agema bashers are sympathizers of the Gay’s, Lesbians and Muslims but not the Black Americans in Detroit! Can you say different agenda!